Pictures is not clear but as long as your EK ROMs are the original masked ROMs and not EPROMs, you can just plug them into U2 & U6 and you are good to go! Just a side note on these Twobit Dash 35 boards. 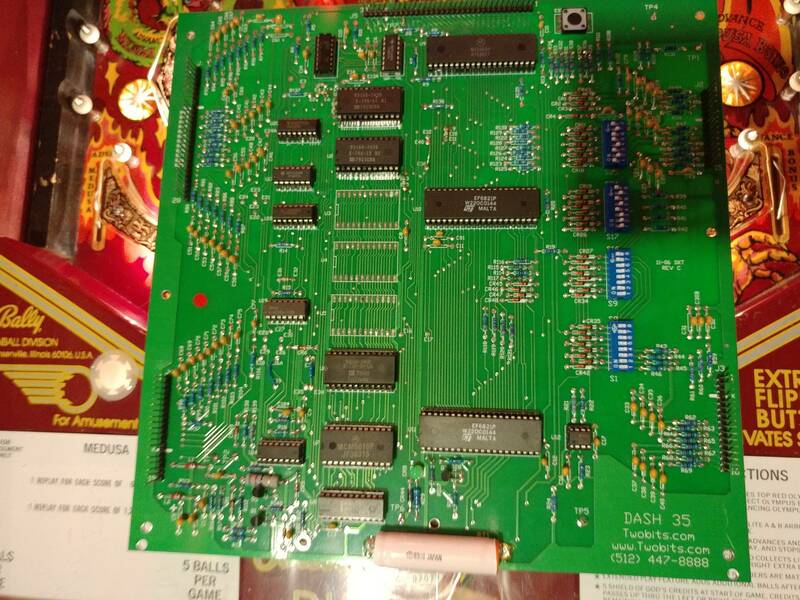 If you find you have any feature lamp flickering going on with standard incadescent globes installed for feature lamps (regardless of which game you use this "Dash 35" board in) you need to check U14 is a 4049UBE & not a 4049B. Some or all of these Twobits "Dash 35" MPU's were shipped with a 4049B at U14 when it should have been a 4049UBE. 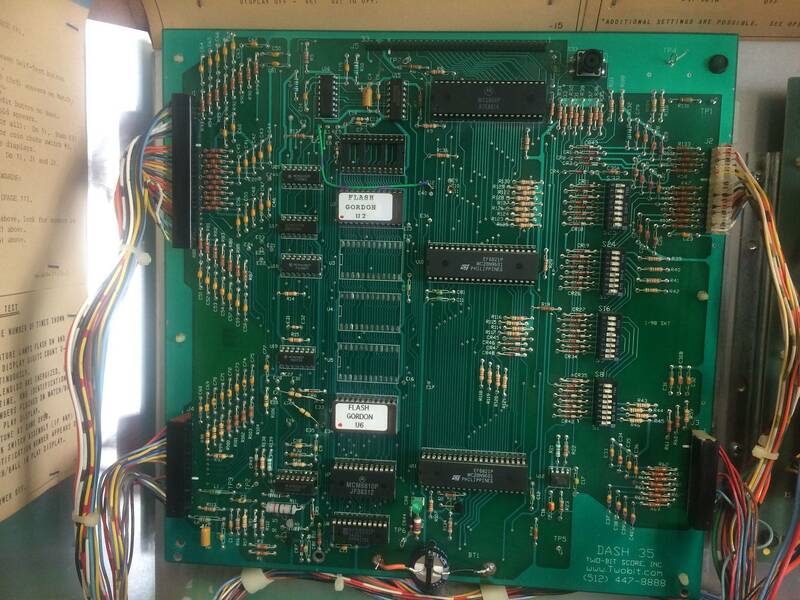 All the Bally boards were shipped with a 4049UBE (even though the manuals state 4049B at U14). A 4049B at U14 will cause very noticeable flickering on some feature lamps. I swapped mine out to fix this problem. Probably a good idea to get rid of that Nicad battery too before it leaks. Joy division..... Thank you for the tip, that is how I ended up with that board. Posted the topic on rgp yrs ago and nobody knew anything about it. I swapped some resistors, I swapped some other things to no avail. U14 is incorrect. I will change it out. No worries, yes, I found their was very little info about this. 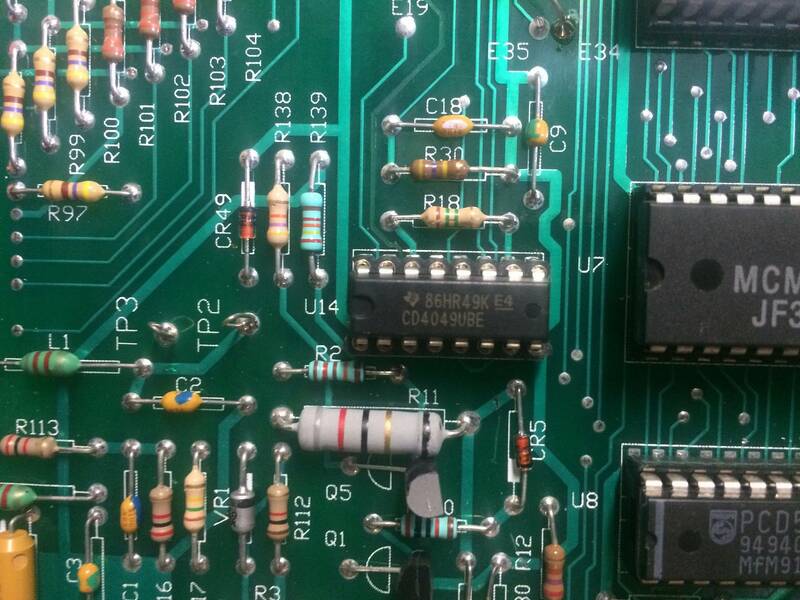 Definitely change the U14 to a 4049UBE & see, looks like yours is nice & easy as it's socketed - mine was soldered in. No dice. It does have the UBE chip at U14.. So that funny flicker I see in the incd feature lamps must be something else. Ah ok, even though it'a a 4049UBE present, I would probably change it for another different brand 4049UBE to rule out U14 in case the problem is with that chip or the brand of chip. They are cheap. I would check the socket is ok too. I used a CD4049UBE. A post on a similar problem here & other possible solutions- may be of some help.